Knowing which credit cards offer the best value on the market is one thing. But knowing which ones make the most sense for you is a different story and requires much more self-awareness. When I made the leap from travel credit cards to cash-back cards this year, I didn’t do it lightly. I considered my spending: Instead of going on business trips every week, like I did at a previous job, I was working in San Francisco and spending more time with my wife and our two daughters. And like most U.S. families, we spent more on groceries and other household expenses than on travel. Continuing to use my travel cards for everyday purchases, I realized, was like holding onto clothes that no longer fit. My new spending patterns put me in good company. 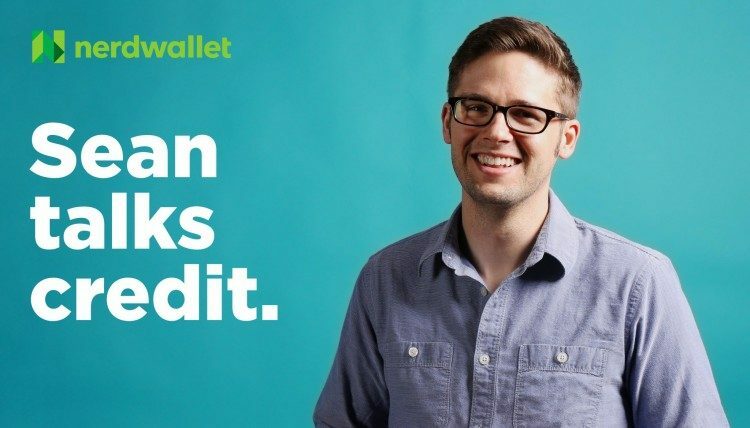 When NerdWallet’s credit card analysts compared the value of various credit card rewards programs based on average U.S. household spending, cash-back cards outranked travel credit cards. I know from experience, though, that reassessing your personal spending and changing your main card is easier said than done, even when the numbers are on your side. It’s hard to ditch your favorite credit cards. For one thing, our brains are wired to tell us that what we already own is more valuable than what we don’t have, regardless of its actual value. The status quo feels comfortable. This is what makes us hesitant to sell losing stocks or, in my case, stop using travel credit cards for everyday purchases, even though I knew I was no longer getting the best deal. There’s also the matter of accounting for what might happen in the future, without being overly optimistic. After all, who doesn’t like the idea of being well-traveled? “Traveling more” was among the 10 most popular New Year’s resolutions in 2015, according to a Nielsen survey. And travel credit cards, which often charge annual fees, were the most sought-after cards in 20 states and Washington, D.C., according to a NerdWallet study this year. But few people report actually spending money on travel. In 2014, only a quarterly average of about 15% of U.S. households reported spending money on out-of-town lodging, and just about 10% reported spending money on airline fares, according to data from the Bureau of Labor Statistics. That said, some travel cards offer decent value to people who don’t travel often. General travel cards with flat-rate rewards, such as the Capital One® Venture® Rewards Credit Card, can help you to go on vacation every once in a while without making it more difficult to earn rewards. Redemption options: If you don’t travel much, you’ll have fewer opportunities to redeem your points or miles. A cash-back card, in contrast, offers more flexibility. Travel bonus categories: Some travel cards, including airline cards, hotel cards and certain general travel cards, dole out bonus points for travel spending. But if you never spend on travel, you could be stuck with a low 1% rewards rate on these cards. Travel perks: Perks like free checked baggage, lounge access and companion passes can pay off if you travel, but these benefits may also drive up the annual fees on these cards. If you don’t use the perks frequently, they may not be worth the cost. Cash-back cards offer more no-annual-fee options. Travel cards sell a dream: Spend money and you’ll get a free vacation. The only problem is, if you don’t travel, it’s a lot harder to turn that dream into a reality. Cash-back cards, or cards that pay out in checks or statement credits, generally offer more value to the average U.S. household than travel credit cards, according to NerdWallet’s study. The study, which rated cards’ value based on average U.S. household spending, named the Blue Cash Preferred® Card from American Express the most valuable card. It’s no surprise that this notable grocery cash-back card topped the list, considering the average U.S. household spent $3,971 on “food at home” last year, according to the Bureau of Labor Statistics, much more than any other spending category you would reasonably charge to a credit card. The Citi® Double Cash Card – 18 month BT offer was in second place. Travel cards still make the most sense for frequent travelers. Among the minority of households that report travel expenditures, the average total spent on trips exceeded $4,000 in 2011, according to the most recent data available from the Bureau. But if you spend much less than that on trips, generally speaking, you’ll get better long-term value from cash-back cards that match your spending profile. In the next few weeks, as you make plans for 2016, take the time to look at the cards in your wallet with fresh eyes. Consider how you’re spending, and whether the plastic you already have is worth using regularly. Don’t keep paying annual fees on cards you don’t use just for the sake of keeping them open — the cost often isn’t worth the boost these open cards may give your credit score. Instead of choosing a credit card you want to grow into, go with one that already fits.